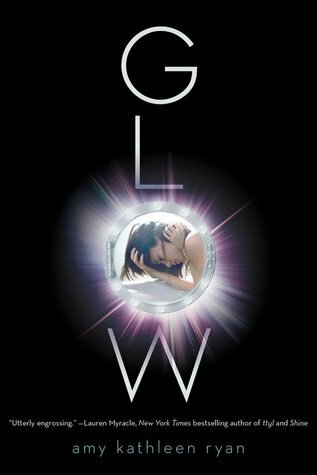 This is one of the best YA books I’ve ever read! It’s heart pounding action from beginning to end and not the mindless kind with no character development. Althea Sadik is working as an intern for renowned microbiologist Dr. Lisbeth Tarlow when circumstances force them to answer a distress call from a drill operation on a distant planet which never rotates to face the sun. On dark Achlys, they discover a missing crew with only the body of an engineer and a cryptic message scrawled in blood. Desperate to find her father stationed on the planet, the captain orders a search despite the crew’s reluctance. What they find are corpses and a lone minor whose survival is too good to be true. This is a two book series and I can’t wait for the sequel as I haven’t read as exciting a last fifty pages since Michael Crichton’s The Lost World. Equal parts Aliens and Resident Evil, the intricate plot, spare yet effective character development, world building and escalating pace make for a truly exceptional novel. Many of the Young Adult dystopian novels that came out after The Hunger Games were disappointing to say the least, but this book explores the theme of totalitarianism better than most. In outer space, two ships are on the way to populate a distant planet after Earth’s collapse, except onboard the New Horizon the women are all sterile. Desperate to procreate, the crew mount an attack on their sister ship, Empyrean, killing all the adults and kidnapping the female children. Held captive, fifteen-year-old Waverly wages careful resistance. Onboard the Empyrean, her captain-in-training boyfriend, Kieran, fights to get her back with nothing more than a crew of boys to man the ship. Can Kieran, who uses to religion to maintain strict control, fend off the brilliant Seth who is of a much more liberal mindset? Which boy will Waverly prefer if rescued? There’s a depth to this book not present in most YA novels. The author masterfully weaves in themes of religion, good versus evil, and reproductive rights, while still managing to provide a thrilling, technically proficient Sci-Fi adventure. Okay, so let’s address the elephant in the room: L. Ron Hubbard was nuts (Scientology — Hello!) but this is still a great book and that can’t be taken away from him. In the year 3000, most of the human race is enslaved by aliens — Psychlos who are far superior technically. Psychlos are a greedy race who are stripping the Earth of its natural resources, using human labor to do so. Humans have reverted to a primitive state. One young man, Jonnie Goodboy Tyler, has managed to live free high in the Rocky Mountains until he is captured by the Psychlo, Terl. Terl is furious that his term on Earth has been extended. He is secretly mining gold in order to escape. He enlists Jonnie’s help as the ecology of the Earth is difficult on his species. Jonnie is cunning. He manages to start a massive rebellion among humans using the technology of the aliens against them. 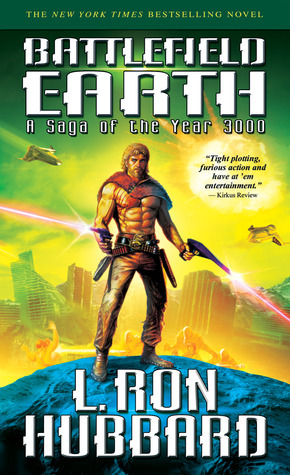 This is a long book, over 1000 pages, but I like a well-done sci-fi epic. It has an intricate plot, lots of action, and is an altogether absorbing read! 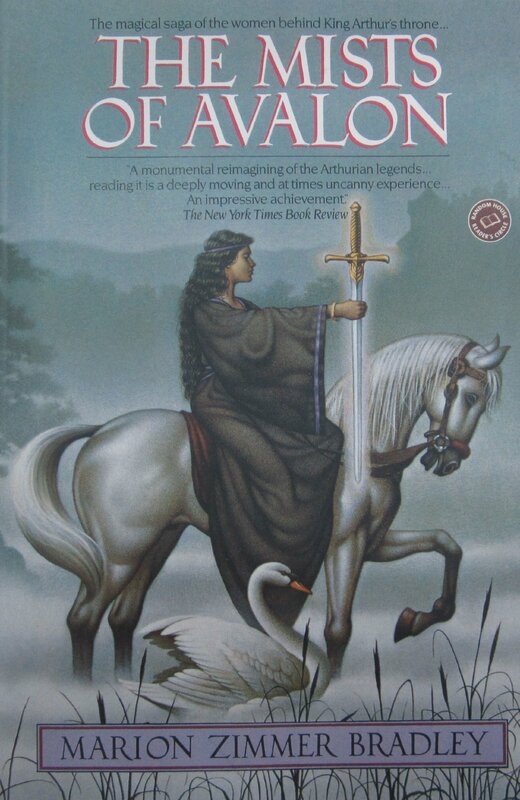 Magnificent epic which retells the Arthurian legend focusing on Morgaine (Morgan le Fay), Arthur’s sister who fights to save the matriarchal Celtic culture as patriarchal Christianity threatens to remove women from power. Women who are normally marginalized, such as Gwenhwyfar, Viviane, Morgause, and Igraine take center stage while King Arthur and the Knights of the Round Table are supporting players. Here, Morgaine is depicted as good, not conniving. She’s training to be a priestess and the next Lady of Avalon. During a fertility rite, she and Arthur are unknowingly intimate, producing a son — Mordred. Arthur’s wife, Gwenhwyfar, seemingly barren, thinks God is punishing her for not outlawing pagan religion, and for loving Arthur’s cousin, Lancelot. As her fanaticism grows, relations between Avalon and Camelot deteriorate. Mordred tries to usurp his father’s throne. In a climactic battle, their armies fight and Arthur is mortally wounded. Morgaine leaves, taking Arthur back to Avalon. 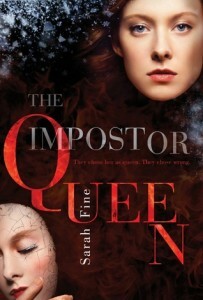 This is the third book in the Infected series but can stand alone. I was conflicted about including it because the first two are oddly sexist and aren’t quite as good as the third, but Sigler absolutely hits it out of the park with this one! About a viral invasion of Earth, it’s every bit as good as anything by Michael Crichton. 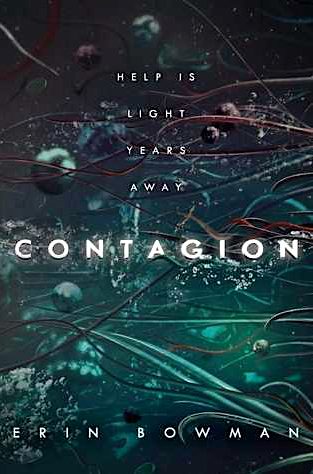 An alien virus that turns people into murdering psychopaths is back and the government must step in to stop it. Doctor Margaret Montoya — the heroine who saved the world by dropping a nuke on Detroit — is consumed by guilt and depression over her decision as she faces yet another potential outbreak. Before the alien intelligence was destroyed last time, it launched one last payload, a small container filled with deadly microorganisms languishing a thousand feet below the surface of Lake Michigan, undisturbed and impotent . . . until now. Be warned! This book is full of violence. In other words, it’s absolutely fantabular. Sigler is an exciting author. I can’t wait to read more of his work! This book is the first in a series where many characters vie for power in a world resembling medieval Europe. It begins as the King rides north to Winterfell to visit his friend Lord Stark. He wants Stark as his right hand man — there’s trouble afoot. Stark’s been warned the Queen’s powerful family, House Lannister, wants to seize power. There’s bad blood between the Starks and the Lannisters. 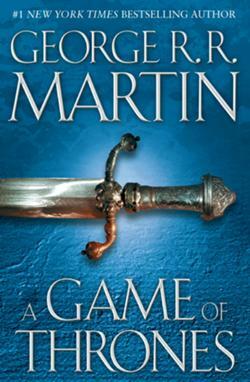 The fragile peace vanishes when the King is killed and his violent son, Joffery, takes the throne. Tragedy befalls Stark when he learns Joffrey is not the rightful heir. The north rallies behind the Starks, and breaks away from the kingdom. Across the sea, the true heir, Daenerys, fights her own battles and learns to master dragons. Other characters include direwolves, and a wall to the far north manned by priest-warriors charged with keeping out a hostile race of people thought to be extinct. This is a wonderfully imagined book with a multi-layered plot. It’s a rich, densely written epic that will keep you up all night. This book is polarizing. 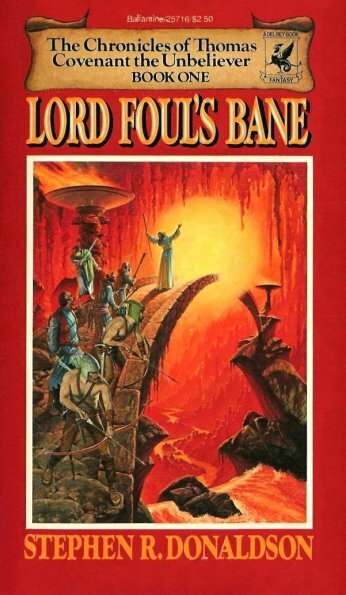 Some say it’s too similar to Tolkien, its hero too unconscionable, and its narrative too dense. I loved this series. It’s more accessible than Tolkien; the world building complex and interesting. Thomas Covenant is a writer. When he’s diagnosed with leprosy, his wife leaves, taking their son. The town shuns him. Soon after, he is mystically and unwillingly transported to “The Land” where he meets Lord Foul who is trying to enslave the people and lay waste to everything. Covenant has a white gold wedding ring — a unique and powerful source of sorcery — that makes him a wild card in the coming war between good and evil, only he doesn’t know how to use it. His self-loathing, confusion, rage and disbelief make him an unlikely hero as he contends with giants, cave trolls, Ur Viles and other magical entities. Slowly, however, he regains his humanity, faith in newfound friends and belief in The Land. I am not a fantasy fan, even though great books, like Harry Potter, fall into the genre. This book one is great, too. Stephen King is polarizing. Some people love him; some people call him a hack. I believe his work will survive, much like Shakespeare’s did, when authors with more literary acclaim will fade into antiquity because no one captures the essence of a period in time the way this man does. 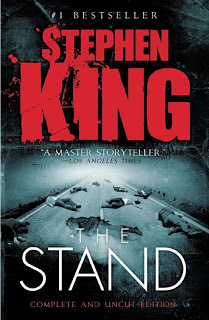 In any case, love him or hate him, The Stand is a masterpiece — the ultimate showdown between good and evil. 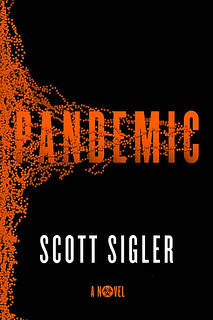 The United States military releases a superflu that wipes out the majority of mankind. Those few remaining have dreams, dreams that drive them either to the good side, embodied by 108-year-old Mother Abigail in Nebraska and then Boulder, Colorado, or the bad side, embodied by Randall Flagg in, where else, Las Vegas. Eventually, the good must confront the evil or be destroyed themselves, they must … make their stand.